I love my state, but sometimes it is so depressing to live here. We ended up with Republicans pretty much across the board and it worries me. 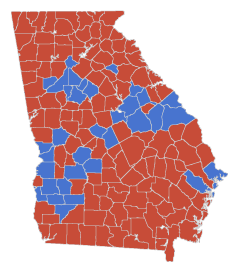 I live in a very blue area, but we don't balance out the rest of the state. Don't tell me to move, don't tell me the south should secede or be forced out. My job is here, my house is here, my family is here, my heart is here. I just need to be bummed for a bit.